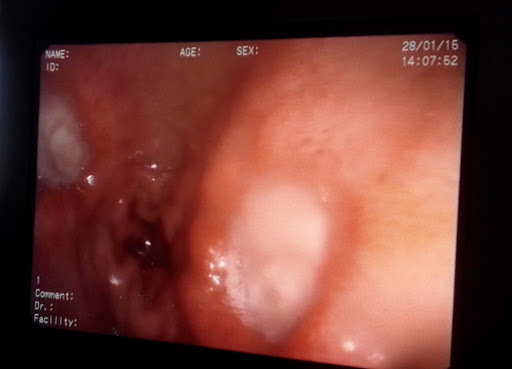 Two large ulcers, one each, on opposite walls of the duodenal bulb . Hence called Kissing duodenal ulcers. 40 year male patient presented with complaints of epigastric pain from past 6 months which increased in severity over past week. Pain was relieved after eating food and was aggravated after taking spicy diet, tea or coffee. Patient is a known alcoholic and a smoker.